The buzz in the tablet world has it that Sony will launch two Android tablets next month. One of them has been secretly named S2 but will launch as the Sony Tablet P. Report has it that it will come with a 5.5 inch screened clamshell. It is suppose to weight less that the iPad 2’s 601 grams. It will have improved connectivity, 512Mb of RAM, 4GB of storage and a 2GB SD card. They will both feature a NVIDIA Tegra 2 processor and 0.3MP front cameras. The WiFi Tablet S will weigh 600g. It will come in both 16GB and 32GB versions. We are still waiting to see what it will sell for on the retail market as well as when it will ship. 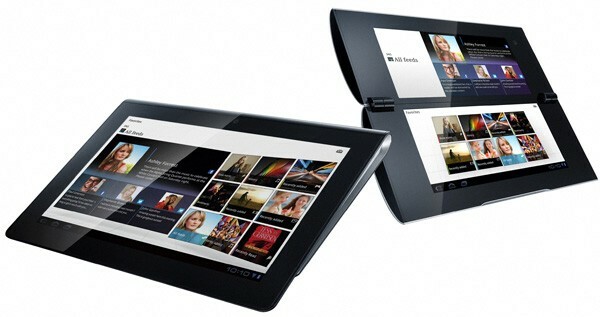 Check back for more information on the Sony Tablet P and the Tablet S.